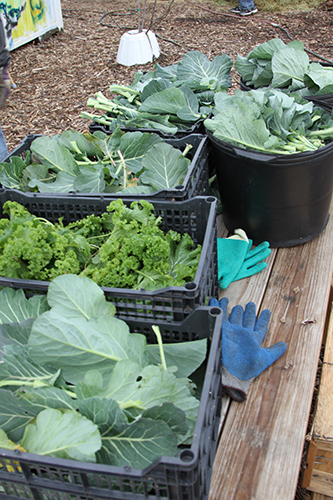 Despite the recent chilly temperatures and the holiday season, things are still cooking at Bonton Farms. Check out the short updates and links below: -An exciting development is the donation of 18 acres of land east of the current Bonton Farms. The details are still being worked out, but we are excited to cast vision for the future of the farm. The donation was a cover story in the Metro section of the Dallas Morning News this past Sunday, and you can read an online version by clicking here. -Bonton Farms was recognized by both the Dallas Planning Council and Dallas City Councilwoman Tiffinni A. Young in the month of December. Check out the BridgeBuilders Blog about the awards by clicking here. -This past weekend eager volunteers braved the cold to help provide yet another successful Restoration Saturday event. 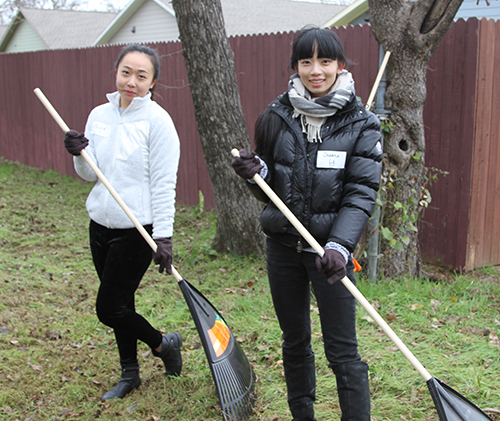 In addition to work at the farm, the City of Dallas provided assistance in cleaning up an alley in Bonton. Check out the pictures below. -We are excited for two men who have recently joined to the Bonton Farms Discipleship Program. Welcome to the team! -Our farm dog, Moses, got arrested. After getting out on New Year’s Eve, Moses was picked up by animal services. After making bail, Moses returned home to the farm. You can see his mug shot on the Bonton Farms Facebook page. -We have a new goat buck, Maximus. For more information on Bonton Farms, visit bontonfarms.org. Older PostWhat happened with the year-end goal?